In October 2018, the Air Force Life Cycle Management Center (LCMC) announced an unprecedented new acquisition system for military cyber weapons: a “cyber factory” called Unified Platform (UP). Through the development of UP, the Air Force should be able to arm its U.S. Cyber Command warriors with state-of-the-art cyber weapons as soon as security weaknesses are revealed, significantly improving response times and results. Although UP is still young, it’s likely to set the stage for the next era of the DoD. Traditional military weapons acquisition processes can be time-consuming and fraught with red tape—and in the context of cyber warfare, having to jump through bureaucratic hoops to access and develop new weapons means always being a step (or more) behind the enemy. In today’s fast-paced world, the old way of doing things just isn’t workable anymore. Northrop Grumman was recently awarded a $54 million contract for UP, and the San Antonio-based program is already rapidly increasing its production capability. The Air Force has adopted the “gig economy” model of using a wide variety of task-based vendors and contractors, all housed under a unified cyber umbrella, which should give UP some much-needed flexibility when it comes to developing and deploying various cyberweapons. The Air Force is hoping to take advantage of rapid equipping authorities to get cyberweapons to its warriors as quickly as possible—and in a nod to this proposed speed, the Air Force has indicated that the first UP-developed cyber tools could be available within just a couple of months. One of the most important UP developments announced so far involves its split from the National Security Agency (NSA). Although the NSA is perhaps the most cyber-savvy federal agency, its primary focus is on espionage — not on securing U.S. infrastructure or protecting classified military information. These disparate purposes mean it no longer makes sense to house UP and NSA in the same location. By splitting DoD-specific tools and infrastructure from the NSA, UP will gain independence, confidentiality, and, even more importantly, the ability to launch cyber attacks without NSA’s approval. 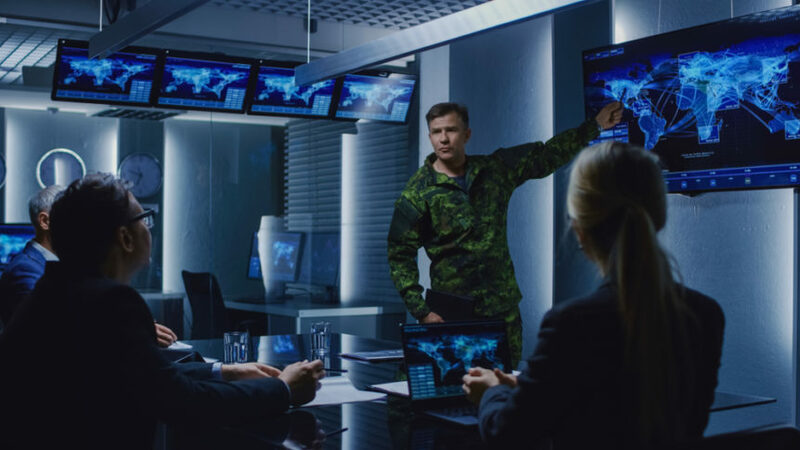 And while UP is primarily focused on cyber weapons and warfare, it also has the ability to coordinate various agencies in the mission planning process. This ensures a single cohesive approach, from boots-on-the-ground combat to online counterattacks that can weaken the enemy’s offenses.